After watching a disappointing 1 point 76ers lose to the Clippers last night we woke up to several inches of snow on the ground and it’s still snowing. It made me think that we’re only a week from Pitchers and Catchers reporting to Spring Training in Clearwater. Opening day of April 5 is not far away!!! What a great time to look back at our favorite Phillies of all time. Depending on how old you are there are different groups of Phils that you would probably consider your favorites. I’m sure you have your own list but here are a few to jog your memory. Remember you only get to pick 5. It makes it a lot tougher. 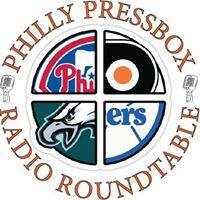 Mike Schmidt – I could switch 1 and 2 with no problem. Schmitty played every day, hit 548 Home Runs, won 10 Gold Gloves and 3 MVP’s. Steve Carlton – There was no one better. Lefty won 329 games with 4,136 strikeouts. He won 4 Cy Young Awards. To put his career in perspective he has 141 more wins and over 1,200 more strikeouts than Halliday who’s arguably the best pitcher of this era. Brad Lidge – His perfect season in engrained in my head. In 2008 he was 2-0, 1.95 ERA, and 41 saves in 41 opportunities in the regular season and added 7 more saves in the playoffs. This is possibly the greatest season ever by a Phillie at any position. In 4 seasons with the Phils he had 41, 31, 27 and 1 save for 100 regular season saves and 12 post-season saves. Johnny Callison – My first favorite Phillie as a kid. 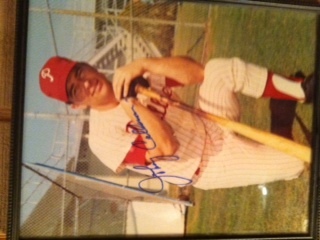 He played for the Phils from 1960-1969 and hit 185 Home Runs. He was a runner up MVP in 1964 and the All Star game MVP. Chase Utley – Although it doesn’t look like Chase is going to get the Hall of Fame numbers I thought he was I still just like everything about the way he plays. He’s fundamentally sound player you love to coach and have on your team. As “Harry The K” would say “Chase Utley you are The Man”!! !